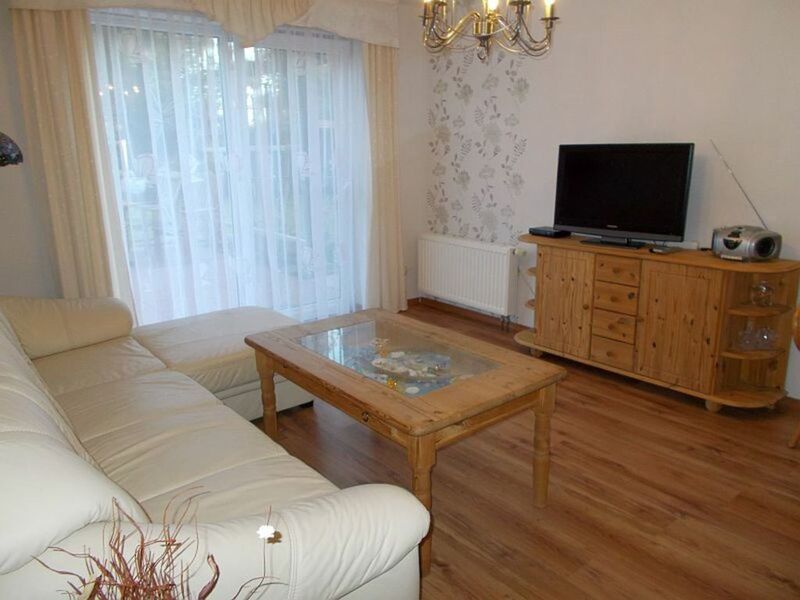 The comfortably equipped apartment has a living room with sofa and TV, bathroom with shower / WC and a bedroom with a double bed and a single bed. The spacious terrace invites with its views over the large meadows, to relax and barbecues. The kitchen is fully satisfying equipped with stove-oven, microwave and refrigerator. Our apartment is a separate apartment on the ground floor with separate entrance. She is specifically designed for 1-3 people. In the nearby sports and leisure center are available bowling lanes, bowling, tennis, Sqasch, Badminten, climbing wall, fitness, sauna and swimming pool are available. In about 20 minutes you reach the sandy beaches of Ruegen and the summer spectacle, the "Störtebeker Festival" on the Ralswiek. Samtens is located in the southwest of the island of Rügen and offers a variety of recreational facilities such. B. Inliner, cycling, climbing, hiking and much more.